◆ The PM2000 is a single channel power supply for preamplifiers used with externally polarized microphones. It is for general use in acoustic measurements and vibration measurements, both in the laboratory and in the productions. ◆ It can supply the preamplifier with power as well as 0, 28 and 200V polarization. It has a wide operating frequency range from about 1Hz to 50kHz. 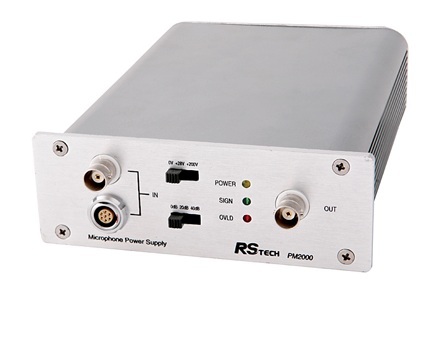 It can provide a high signal/noise ration and the special low distortion for the input analogue signal. ◆ Output channels: BNC coaxial socket for theoutput signal via the power supply.